So there I was sitting with my brand new iPhone in hand when a friend asked me if I had seen the BlackBerry Playbook. I had and I liked it but my mind was set on the iPad as everyone and their son had one already. The iPads popularity is astonishing even here in Nigeria where Wifi isn’t all that popular and there are even certain restrictions on buying songs on-line here. Still it is everywhere. My friend just told me to have a look at it and when I did, I found myself playing games, browsing flicking between screens and pretty much loving every second. So after a while I asked him what network he used for it and he laughed and said, I’m using my regular BB to browse on the Playbook…. their linked so I only pay one bill. And with that my love for the Playbook grew and I started my journey into the research. Here’s what I found. What Makes The Playbook Stand Out? You get the full Web Experience in a manageable size. Compared to iPad’s 9.7 inch touchscreen, the Playbook’s got just about 7-inchs of display, however it will give a complete web experience since RIM has stressed the integration of the tablet to the Blackberry Smartphone (Liquid Graphics and Dual coure processor). So as an added bonus you’ll have access to Adobe Flash video software, which can be tricky on other Tablets. Designed to work hand-in hand with the Blackberry Smartphone via a secure short-range Bluetooth range (so just sync the playbook to your phone and it becomes your BB on a bigger screen. 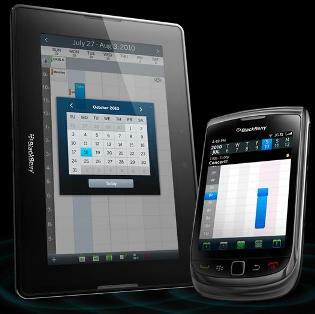 Awesome for BBming, Emailing and Browsing), the Playbook can act as a second screen for the handset, which allows phone users to access their email, documents, calendar, and other content on a larger screen. 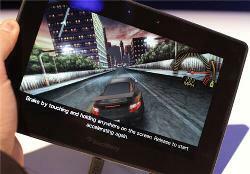 As for apps which we all love so much, RIM’s has released a software kit that lets third-party developers design applications for the Playbook, also, video game makers Electronic Arts has been invited to participate in introducing the Playbook to the general public. (can you smell the games?) 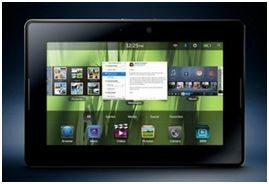 As other companies are expected to announce their own versions of tablet computers sometime next year, it should be interesting since tight competition usually means better products to choose from. And better products mean better value for everyone’s hard earned money. 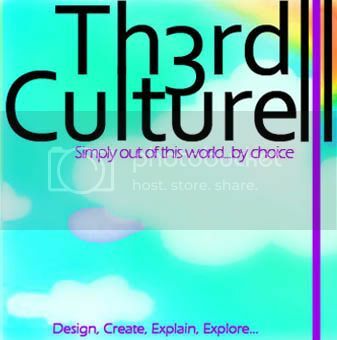 This entry was posted in Home, Words and tagged Apple, apps, bbm, blackberry, Browsing. 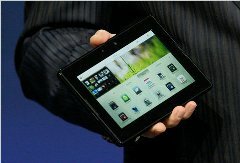 Bill Sync, ipad, liquid Graphics, Playbook, portable, RIM, security, size, speed. Bookmark the permalink. And can i add that its wayyyyy cheaper!